Eugen d´Albert was born in Glasgow in 1864 as the son of a Frenchman and an Englishwoman. Whilst still a child, he attracted attention with his exceptional pianistic talent. As a composer, too, d'Albert made a name for himself early on through the great success of his opera 'Tiefland' (1903/05). He was never really able to consolidate his position in this genre, however, for his contemporaries tended to see the great pianist in him instead. Although his compositional oeuvre is forgotten for the most part today, it is worth taking a look at his works, for the orchestral compositions and concertos offer interesting insights. 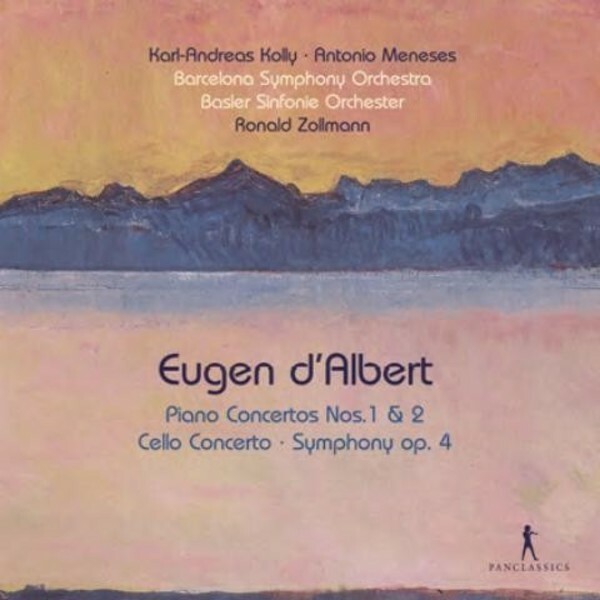 This double CD presents the greater part of d‘Albert's orchestral production with the two Piano Concertos, the Cello Concerto and his only Symphony. The influence of his models Brahms and Liszt can be readily heard, but d'Albert's own style – a nearly ideal combination of virtuosity, romantic melodiousness and sharp flavour – is always recognisable.